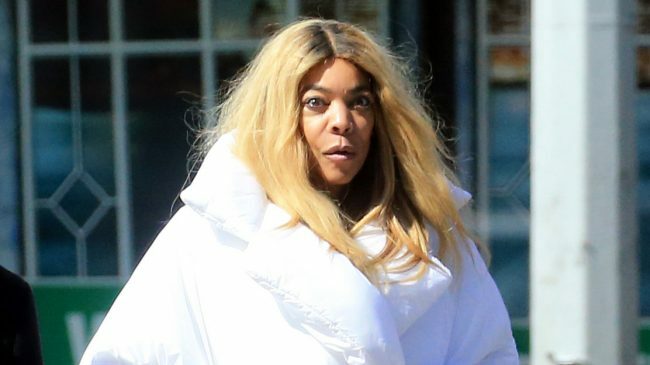 Radar Online is posting pictures of Wendy Williams partying with her husband’s mistress Sharina Hudson at a “blackout party” in New York 12 years ago which was hosted by Williams. 54-year-old Williams is shown in the photographs with friends and guests. These include Kevin Hunter, her husband, Charlamagne Tha God, and Kerry Rhodes, the ex-New York Jets football player. Also pictured is a 21-year-old woman named Sharina Hudson. The party took place on December 27, 2017, in New York City at a club called “Dirty Disco.” In one photo, Williams can be seen with her husband, looking on like she is on some kind of substance and disheveled, with her arms around Hunter. Sharina Hudson, who is now 34 years old, can be shown with her booty sticking out to the camera posing. Wilson was wearing a skintight, short brown dress cut out in the front revealing her breasts, and big hoop earrings. It is alleged Hudson recently gave birth to a baby girl, the love child of herself and Hunter. Williams can also be seen at the party drinking champagne with her husband. Recently, Williams has been residing in a sober living home in Queens, New York to help deal with her addiction to alcohol and prescription medications.